The SorachanCoin Developers signed the digital signature in Apr 2019. If the digital signature is valid, The SorachanCoin Developers guarantee that it was built from source code on the Github. IUEC added the Windows XP version. ※ IUEC updated the checkpoint(18370). IUEC released makefile.linux-centos7 by CentOS7. IUEC released makefile.linux-centos7 by ubuntu and Fedora. IUEC released makefile.linux-centos7 by Debian. IUEC released makefile.linux-centos7 by FreeBSD and RaspberryPi. IUEC released makefile.linux-centos7 by Plamo. ※ IUEC updated the checkpoint(46092). ※ QRcode and UPNP are suppoted. IUEC released makefile.unix by OpenBSD. IUEC released makefile.unix by openSUSE. 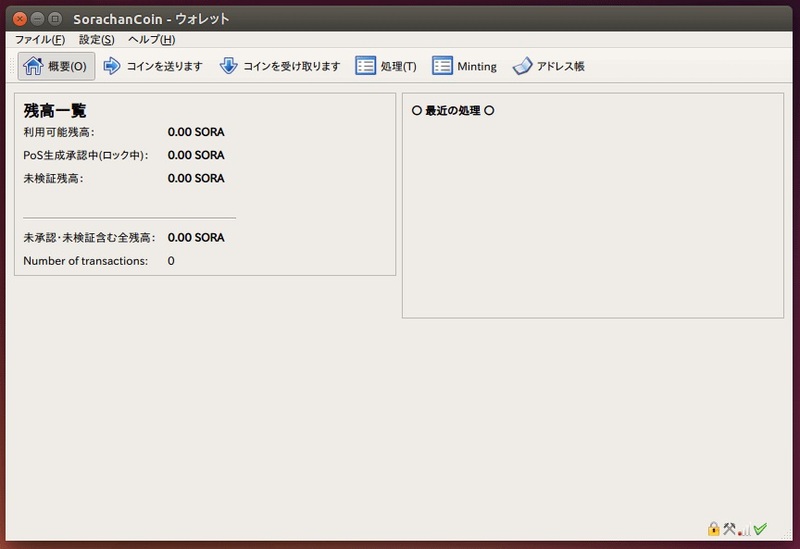 ※ IUEC released SorachanCoin-qt "Ver1.0.3" in Linux / UNIX. ※ IUEC shifted from the OpenSSL to the LibreSSL with the latest version of the boost-Library. ※ IUEC updated the checkpoint(60880). ※ IUEC released SorachanCoin-qt "Ver1.0.4". IUEC released makefile.linux by ArchLinux. IUEC released makefile.linux by NetBSD. IUEC released makefile.unix-clang by FreeBSD, OpenBSD and NetBSD. 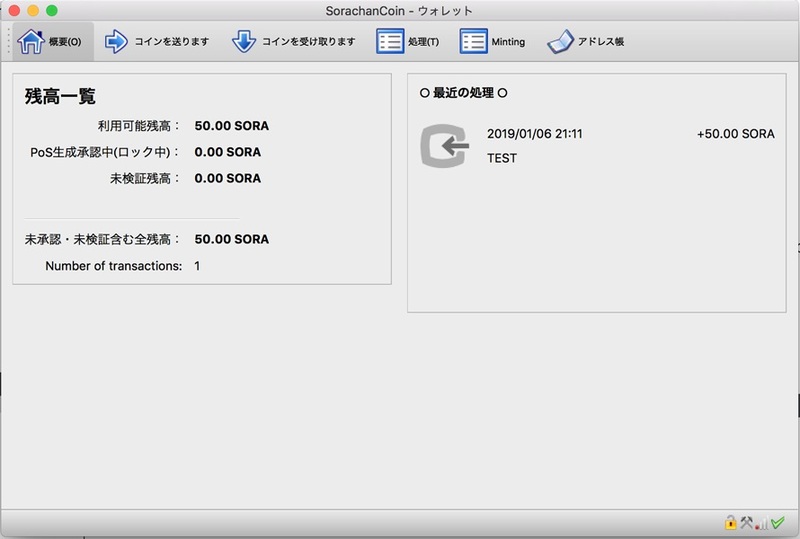 ※ The SorachanCoin connect to two or more ports with automatic processing. ※ The SorachanCoin is supported to two or more blockchains. ※ IUEC updated the checkpoint(71270). ※ IUEC released SorachanCoin-qt "Ver1.0.5". ※ IUEC released SorachanCoin-qt "Ver1.0.3" in OSX. ■ Since SorachanCoin-qt is static-link, It operates by an execution-file independent. 1, SorachanCoin-qt_1.0.0.zip is downloaded and unpack to arbitrary folders. 2, double-click in SorachanCoin-qt.exe and it follow directions of the displayed dialog. 3, Blockchain has started sync and can use a wallet after a while. 4, Here, you encipher a wallet in menu. 5, If wallet is enciphered, The SorachanCoin-qt will be once close. It will be a success, if SorachanCoin-qt start again and a key-mark comes out to the lower right. ※ When a trouble occurs in a wallet, the backup for this first time should become very important. 2, You create shortcut to a desktop and right-click the shortcut. You see the column of a link place from a property and double-click in SorachanCoin-qt.exe on shortcut. You add a space and add "the path of a -datadir= installation place folder.". It has complete only by overwriting SorachanCoin-qt.exe(SorachanCoind). ■ [Note]：The virus judging of the wallet is carried out mistakingly. A virus judging may be carried out when a mining program is included in a wallet. NO CODE which becomes disadvantageous SorachanCoin-qt to the use users, such as a mining program, is included. However, I hear that a virus judging is carried out only by saying wallet in many cases. 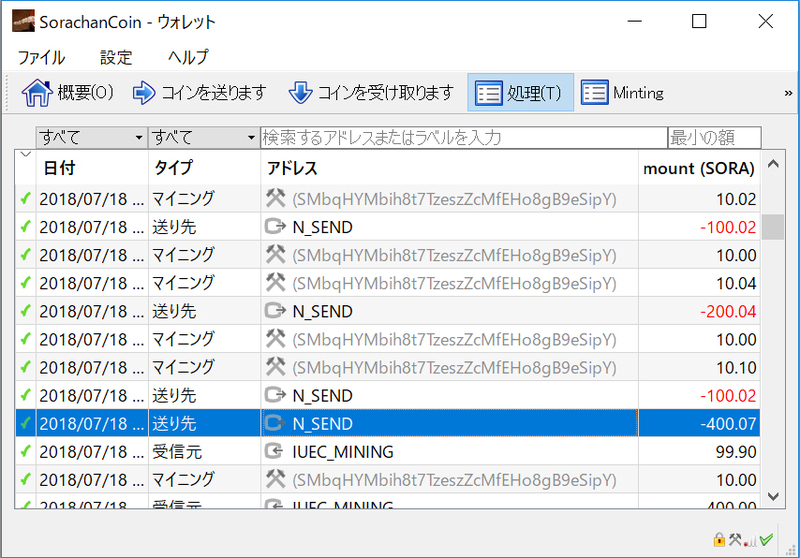 you are pleased if you modify a setup of the folder which stores this wallet. 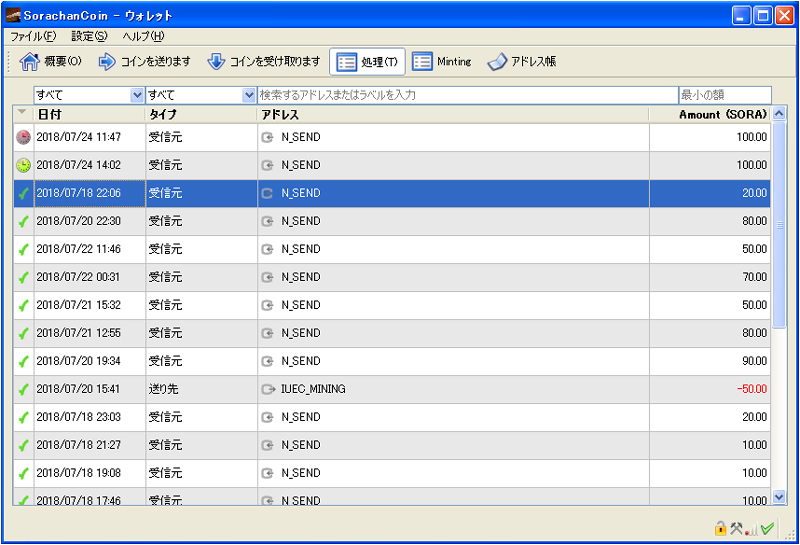 Look at the disk number from Disk Management and select it from the combobox to start. (Even with the NVMe SSD, 33 threads are enough. Copyright(C) 2018-2019 The SorachanCoin Developers. All Rights Reserved.